The Junior College is based on a system and philosophy that focuses on ‘the skills of learning’. These are the key competencies of the National Curriculum and they take centre stage for our learners. 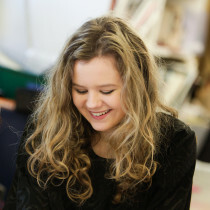 The Junior College is a two-year programme for students in Years 9 and 10. Approximately 250 students study in the Junior College. The Junior College curriculum is built on the seven essential learning areas of the National Curriculum statement. It is specifically designed to ensure that all students have the skills to succeed in their quest for learning qualifications in the Senior College (Years 11,12 and 13). The Hagley values of Tika (Integrity), Whakawirinaki (Trust), Whakamarumaru (Responsibility) and Mana (Respect) are a fundamental aspect of the Junior College. A formal Contract of Learning is signed at enrolment. This contract is between parents, the students and the College. The Junior College is based on a learning model that establishes standards and boundaries for student learning and behaviour. All students undergo a diagnostic assessment, enabling their individual needs to be planned for and met. This new collection of subjects has resulted from an extensive review of our Junior College curriculum. From consultation with students, whānau and our staff, we have developed an enormous range of subjects that are designed to give students the opportunity to explore their interests, develop their skills, and engage their passion for learning. The subjects run for two sessions of 110 minutes per week for a block of 12 weeks. Students will choose six subject in a year with most of the subjects on offer accommodating both Year 9 and Year 10 learners. There are 56 subjects on offer and they include such things as Creative Media Magic, Hard Out (competitive PE/sport), Gods, Heroes and Monsters, Kaupapa Pai, Spanish, Taonga Tech Jewellery, Robo Challenge, Fashion – Make it Wear it, and Write for your Life. Get more of a feel for the Junior College by viewing our 2019 Junior College Lookbook. Wohoo we have made the shift to electronic news! To sign up, go to the bottom of this page and enter your email. As well as the full-time fashion I was able to take English to ensure I get my University Entrance. Keep up to date with the latest from Hagley by signing up to our mailing list.